In this week's Abundance Insider: In-car Amazon delivery, robot-run banks, and paint that transforms walls into touchscreens. What it is: Amazon has partnered with GM and Volvo on its new In-Car Delivery service for Prime members, which launched this week in 37 U.S. cities. Prime members with eligible GM or Volvo cars simply select In-Car Delivery at checkout, and can remotely block access to their cars via the Amazon Key app. Notably, Amazon couriers do not have direct access to the car -- the unlock command is issued through the car's connected systems (i.e. OnStar or Volvo on Call) as part of an authentication process. "We only actually do the unlock if it's the right person, right place, right car, right time," said Peter Larsen, vice president of delivery technology at Amazon, to The Verge. What it is: The China Construction Bank (CCB), China's second-largest bank, has opened a branch in Shanghai run entirely by technology. 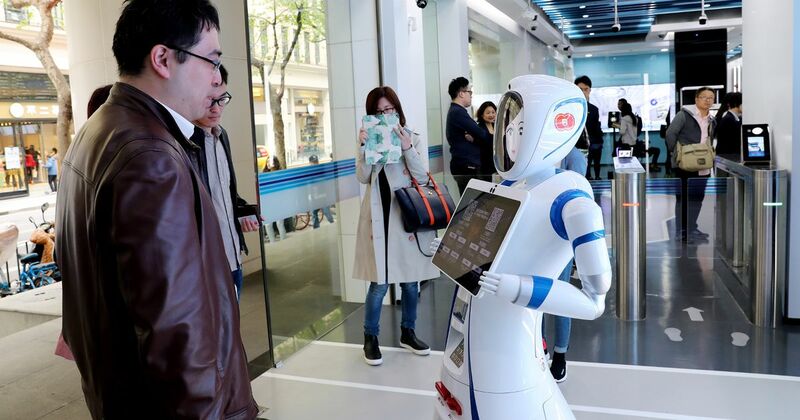 At the unmanned bank, a humanoid robot answers customers' questions and directs traffic, and human client relationship managers remotely interact with customers via videoconference. By leveraging virtual reality, artificial intelligence and facial recognition technology, CCB says its branch will be able to support 90 percent of the demands a traditional bank branch would see. What it is: Carnegie Mellon and Disney Research have teamed up to turn your walls into a touchscreen and gesture interface. Using a water-based nickel conductive paint, the team created a lattice pattern underneath a regular latex paint. Connected to a sensor board and a laptop for visualization, the system recognizes changes in capacitance (touch) and in electromagnetic (EM) waves to pick up presence, gestures and motion. Applications include replacing light switches based on motion, truly smart thermostats, and identifying specific people based on gait analysis. 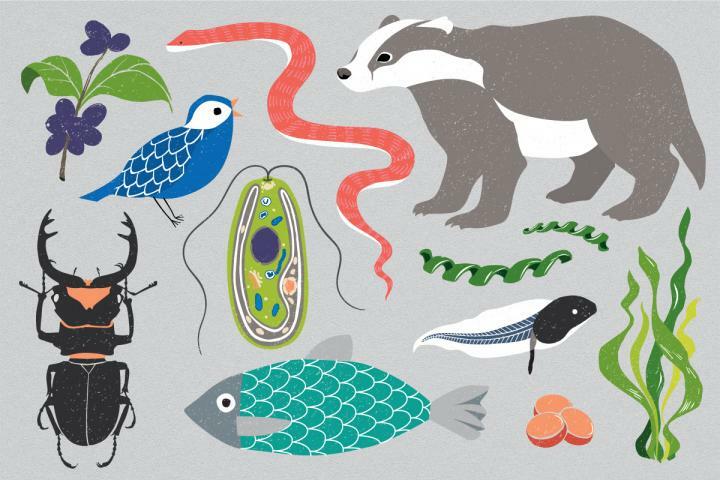 What it is: In a Moonshot for biology, a group of researchers have launched the creation of the Earth BioGenome Project (EBP), which aims to sequence, catalogue, and characterize the genomes of 1.5 million animals, plants, fungi, and microscopic organisms that make up the family of eukaryotic cells. To date, we’ve sequenced less than 0.2 percent of the known eukaryotes on the planet. This undertaking has an anticipated timeline of about 10 years with $4.7 billion needed, but will enable us to better understand the interconnections between biodiversity, ecosystem health and climate change. What it is: Space Decentral, an organization founded by Space Cooperative, has launched a project to leverage the blockchain to foster decentralized and international cooperation in launching humanity into space. Later this year, Space Decentral will launch an ICO to raise $10 million, but also has longer-term plans to use Ethereum-based smart contracts to trigger later funding rounds based on project success, and eventually develop this into a DAO, or fully decentralized entity. Additionally, the project team is also working on adding new features to the blockchain to facilitate cooperation at a technical level, as opposed to a purely funding and voting mechanism.